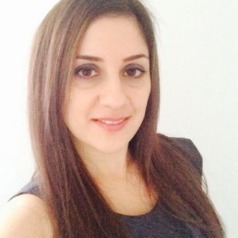 Grace Borsellino joined Western Sydney University, School of Law in 2014 as a Research Assistant to the Dean of Law and Sessional Lecturer for Law of Associations. Grace has since been appointed a full time Lecturer in Law and Co-ordinator in Law of Associations at Western Sydney University, School of Law. She teaches and researches in Corporate Law. Prior to joining Western Sydney University School of Law, Grace taught in the area of corporate and commercial law for 5 years at other tertiary and educational institutions. Grace graduated law at Western Sydney University and was admitted to practice law in 2005. Grace is currently undertaking post graduate studies at Western Sydney University in the School of Law. Her research interests are corporate law and corporate governance. Grace has co-authored, researched and edited in a number of publications in relation to corporate governance.